4. 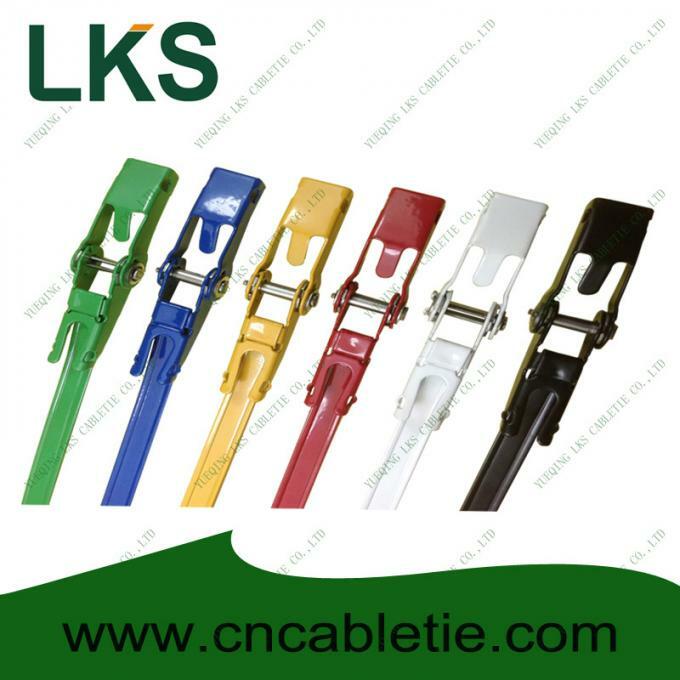 Usage: for binding communication cables, labels, boats, mining industry, advertisement, industry etc. 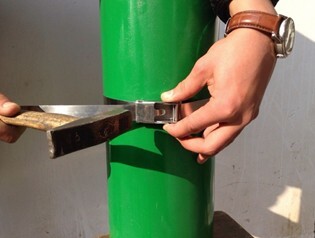 Step 1:Insert the tail of ⑥ stainless steel band into the slot of ③spindle. 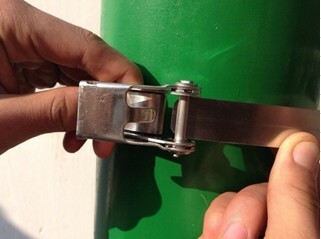 Step 2:Hold ⑤bracket by left hand,tighten up the ⑥steel band by right hand. 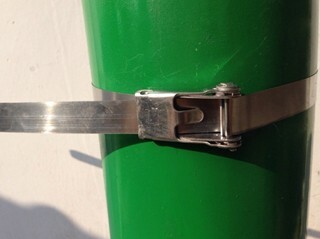 Step 3:Hold the ⑤small bracket by left hand,pushing the ④big bracket back and forth,until the steel band strapped tightly. 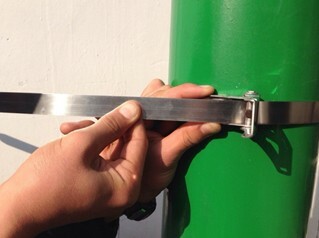 Step 4:After strapped tightly,hold the steel buckle by left hand,take hammer by right hand,hammering the ④small bracket and ⑤big bracket down. 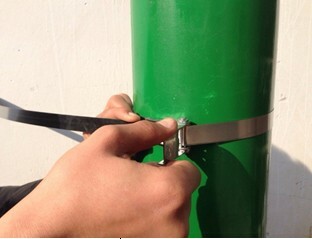 Step5:At the end, remove the rest ⑥steel band by scissors.